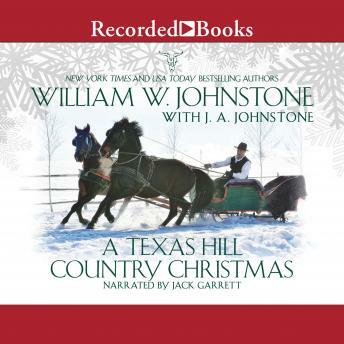 As winter descends on the great state of Texas, the Jensen family faces off with renegades, rivals, and one raging storm-in this special yuletide adventure from America's beloved western storytellers. While most folks are busy preparing for Christmas, the tightknit Jensen clan can only hope they'll make it home. Luke Jensen is in San Antonio tracking down a dangerous outlaw. But when he finds the man leading a wholesome life-as a charity-working Hill Country pastor-Luke agrees to wait until after Christmas to bring him to justice. Meanwhile, Smoke and Sally Jensen head out from Fort Worth by stagecoach, only to be stranded by unrelenting rains-and stalked by a crazed Commanche killer. And in Austin, Ace Jensen falls head over heels in love with a girl he wants to marry. Unfortunately, she's engaged to one of the outlaw gang that's gunning for Luke's bounty. This year, the Jensen family is in for a stormy Christmas they will never forget-and one deadly showdown they may never survive.